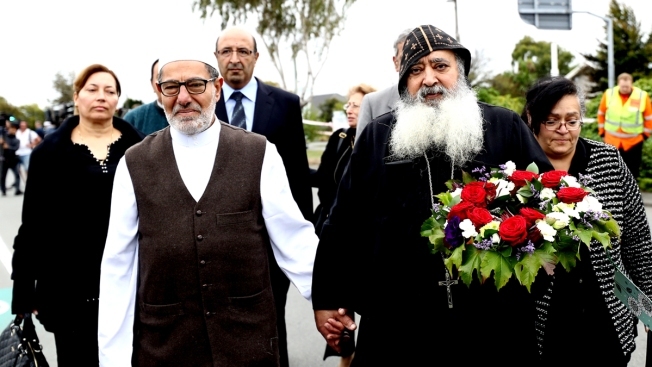 Ibrahim Abdul Halim, imam of the Linwood Mosque, walks with Father Felimoun El-Baramoussy, priest at St. Michael the Archangel Antiochian Orthodox Church, to lay flowers outside the Linwood Mosque on March 18, 2019, in Christchurch, New Zealand. Fifty people are confirmed dead, with 36 injured still being treated, following shooting attacks on two Christchruch mosques on Friday, 15 March. A 28-year-old Australian-born man appeared in Christchurch District Court on Saturday charged with murder. The attack is the worst mass shooting in New Zealand's history. The Islamic Society of Vermont is thanking Vermont residents for their support following the deadly mosque shootings in New Zealand. 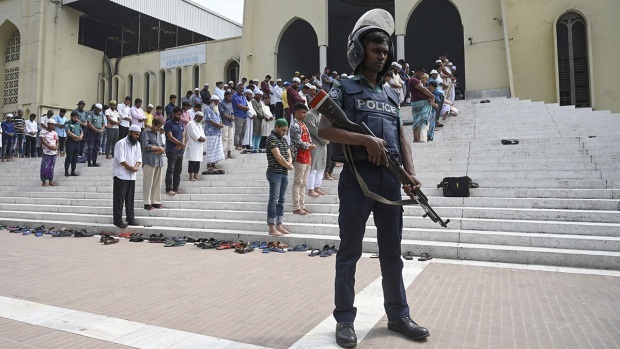 Imam Abd'Llah Al-Ansari thanked everyone who had observed a moment of silence, prayed, sent messages, held vigils or condemned "this cruel and inhumane act of violence" that left 50 people dead. The Burlington Free Press reports images on the Colchester society's website shows bouquets of flowers from clergy around the state, including the First Congregational Church of Essex Junction.